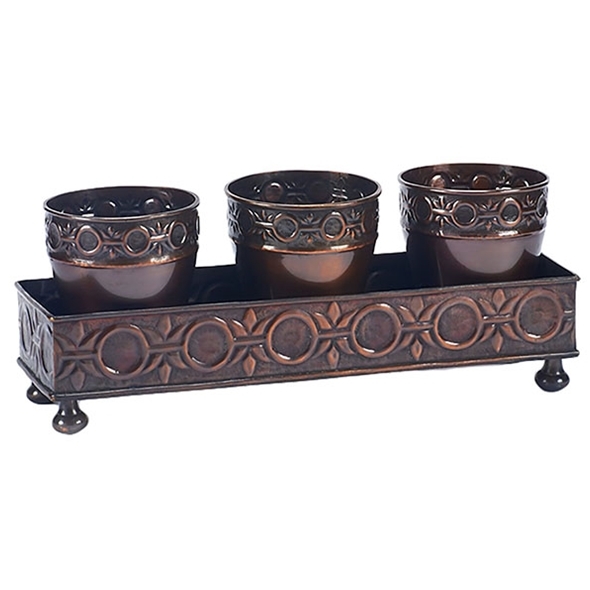 These brass pots and footed tray have a beautiful copper finish and provide an elegant home for any of your plants. With a little imagination the same tray could easily transform into a unique candle holder as well. One thing is for sure, since these items are made exclusively for Jatex International you won't find them anywhere else. Size 18" x 5" x 7"